A while ago, the Platinum name got me excited in a special way about a game. There was a certain sense of style that they brought to the table that few did. It was over the top, ridiculous action, and it was just so goddamn cool. Playing through Metal Gear Rising: Revengeance for the first time (which might still be the worst name for a great game) was mindblowingly dumb. It was a 6 hour swordfight on acid, and it took all of the stupid story idea from the Metal Gear franchise and laid them bare. It spit in the face of the too serious games and just had fun, and I love it to this day. I replayed Bayonetta afterwards and I realized something. They felt remarkably similar. Then I started looking at more of Platinum’s games and realized just how many games they had made, and how they all tried to follow the same formula. Somewhere and somehow, Platinum became a licensed game factory, shoveling out titles like TMNT or Transformers for reasons that I can’t quite fathom. At one point this medium sized studio had 9 games in production, and it started to make a little more sense as to why their games followed the same formula. Yet with all of this, they still carry a pedigree with their name. And I don’t know if I really get it. I like some of the games that they make. I just don’t know how many more I want to play. 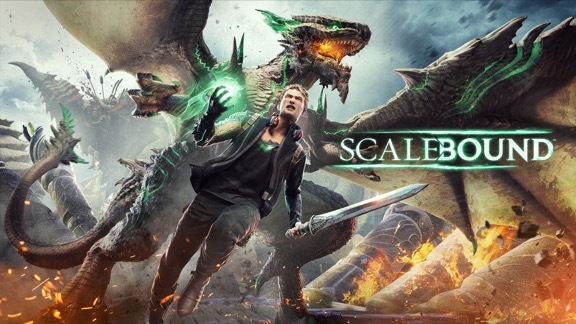 In some ways, I’m not surprised that Scalebound was cancelled, and I’m kind of glad that it did. Sony learned a very expensive and embarrassing lesson this last year about published third-party games as if they were first-party, and Microsoft got to reap the benefits. It was undoubtedly an expensive decision, with millions of dollars already down the drain and a public blow to their image with nothing to show for it, but to me it hints at a small amount of integrity that I’m happy to see in the industry. Microsoft could have easily published a sub-par game in an effort to recoup some of their hefty sunk cost. With the rising cost of big video game development, it is becoming harder and harder for some studios to get by. More and more we are seeing games sold almost entirely off of the name of a studio. It happened with Platinum and it happened with Telltale. If a company needs an action game made, they ship it out to Platinum. Adventure goes to Telltale, and in only a few short years the variety of games starts going down. We see the same thing with Kickstarters, where projects raise millions of dollars based solely off of a name that is attached to its development and little else. Publishers want to back projects that work, and consumes are good at remembering the studios that make the games. It’s a vital part of the marketing of these games, and it's clear to see that these two studios have an established fan base and formulas that work. So they milk it, and I can’t really blame them. But it finally happened that one of these games got cancelled and it makes me wonder what will change, if anything at all. I want games to be good, and I’m excited to play Nier when it does come out. But I just hope that developers don’t have to make this kind of shovelware just to survive in the scary future of video games.